In Cable Vol. 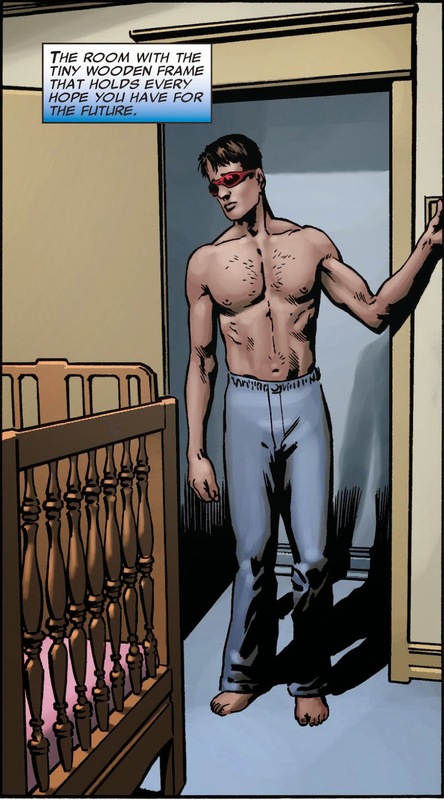 2 #6, Scott Summers aka Cyclops wakes up from a recurring nightmare in which Bishop kills his son Cable & the baby who will eventually be named Hope. Mr. Summers looks pretty hot here, love the sparse chest hair & the pajama bottoms.